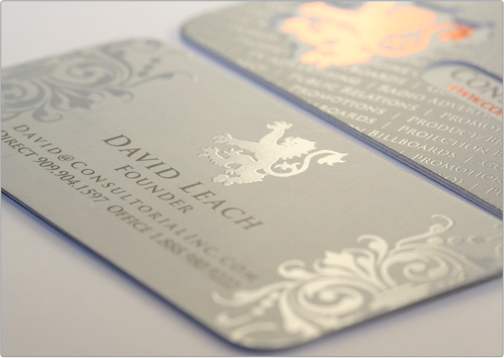 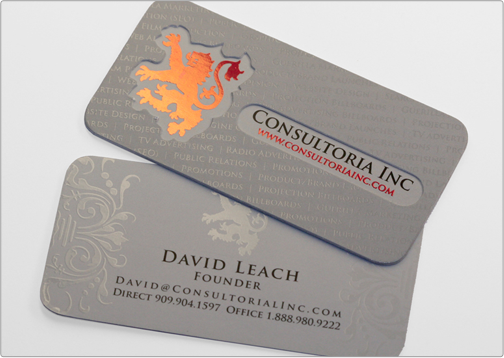 The Consultoria card is actually comprised of two business cards, die cut, and glued together. 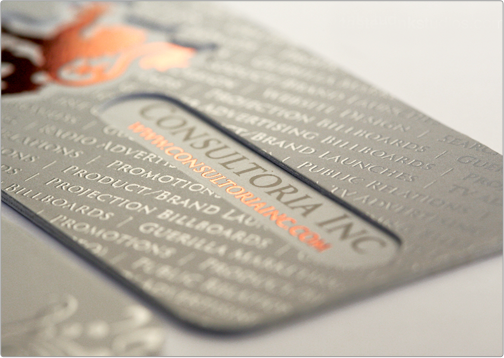 This card is one of TOI's signature Layered Cards and features a beautiful red and black foil with a stunning shiny spot gloss. 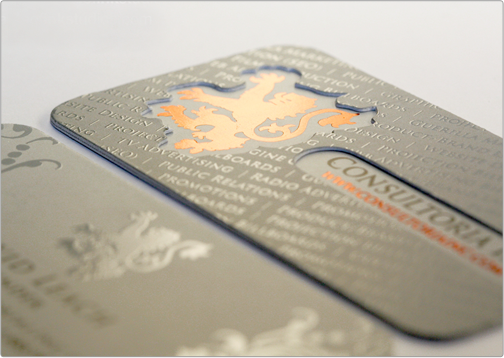 The rounded corners add an extra sleek touch to complete this refined business card.